You are at:Home»Art/ Theatre/ Film»People’s Day is Saturday! 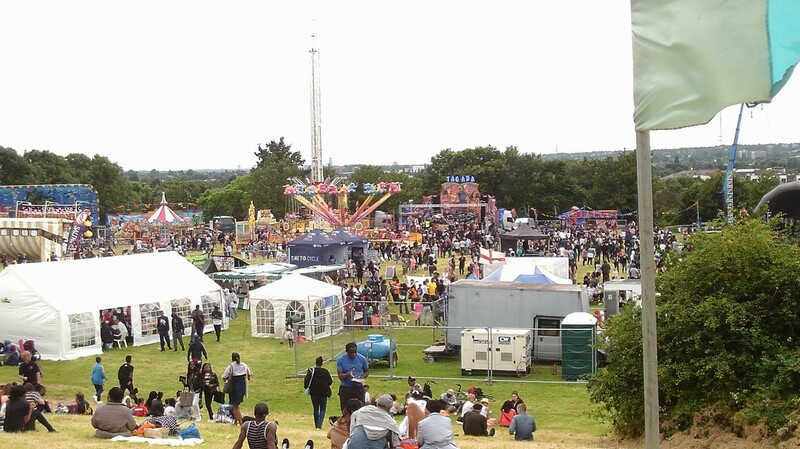 South east London’s much-loved free family festival returns to Mountsfield Park in Catford on Saturday 7 July. ​The 34th People’s Day will feature an amazingly eclectic programme with seven stages of music, dance, comedy and cabaret. Plus there will be great street food and bars, a funfair, artisan craft market, sports arena, sound system and lots of free activities for all ages. This year’s headliner is Mercury Prize nominee ESKA, who was born in Zimbabwe and grew up in Lewisham. She’s a female solo artist who has been compared to Joni Mitchell, but her sound is a unique and complex tapestry of folk, soul and rock ‘n’ roll that must be heard to be believed. Also on the line-up are local band Chainska Brassika. The mischievous rabble from Lewisham have been causing mischief since school, spreading their contagious horn-driven ska anthems across the UK, mainland Europe and beyond. talks from Goldsmiths, University of London on Windrush and 1977’s Battle of Lewisham.